• Get an interesting outline of the theoretical paradigm background paving the way for the 'birth' of Diana Baumrind's authoritative style of parenting! • Be presented with a visual model containing the main characteristics of the authoritative style of parenting. • Get a better understanding of parenting control via my discussion of Diana Baumrind's beloved 'firm control' issue! • Be introduced to other academics' view on authoritative control - unlike Baumrind, they think it might actually do more bad than good! • Read about my own view on high control in parenting which is I find is closely related to a person's level of consciousness! Like all other social scientists development psychologist Diana Baumrind is a child or her time. When scientists, particularly those studying social interaction etc., write up their analysis and research results, it is nearly impossible for them not to be culturally colored as well as personally biased. Diana Baumrind’s groundbreaking research results on parenting styles reflect some relatively big cultural parenting paradigm changes that occurred during the 1940s and 1950s as well as showing her own predisposition of favoring the authoritative parenting style. This is quite natural; whatever we write has to go through our own cultural and subjective filter. Diana Baumrind conducted her child rearing studies some 50 years ago in the 1960s. 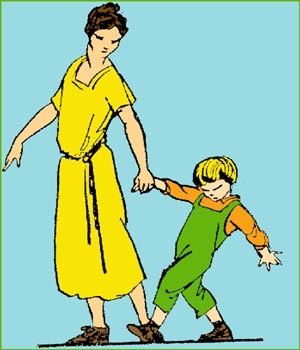 Her description of the authoritative style of parenting is typically viewed as striking a golden middle course between the prevailing pre Second World War behavioral authoritarian parenting style and the emergence of the 'so called' Freudian permissive parenting style right after the Second World War. Or in other words, with the definition of the authoritative parenting style Baumrind tries to theoretically strike a balance between satisfying social obligations towards family and society (behavioral) and individual child needs (Freudian). 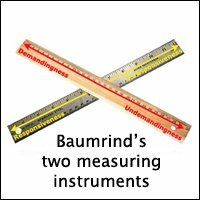 The theoretical tools she uses to measure the social vs. individual balance are "demandingness" (behavioral control) and "responsiveness" (fulfilling needs) - (to get an understanding of Baumrind's measuring tools of "demandingnes" and "responsiveness", you might want to read this article on the 3 parenting styles. "They [the parents] monitor and impart clear standards for their children’s conduct. They are assertive, but not intrusive and restrictive. Their disciplinary methods are supportive, rather than punitive. They want their children to be assertive as well as socially responsible, and self-regulated as well as cooperative" (Baumrind, 1991, p. 62). Having laid out the theoretical background (Baumrind’s attempt at meeting social demands and individual needs) in the authoritative style of parenting, I will now present you with the characteristics of the authoritative way of parenting. Everything that you read in the below model are points that I have read or deduced from Diana Baumrind’s work: Effects of Authoritative Parental Control on Child Behavior,1966. 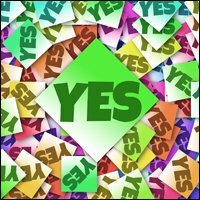 Below I have reworked Diana Baumrind's results into two columns that will show you how she tries to strike a relatively even course between social demands and individual needs. In my view, she tends to favor social demands above individual needs, but that's only my personal opinion. Fortunately the world is open for you to judge for yourself. Behavior Control and Social Obligations (conformity) "High Responsiveness"
- Respecting the child's individual "needs and interests"
- Parental "warmth" and affection. The child is to conform to high standards of decent social behavior. The child's interests and needs are met as long as they don't clash too much with the social demands. In parent child conflicts the authoritative parents will make sure that the adult perspective has the final say - conflicts are handled with "firm control". The authoritative parents strive to explain the reasoning behind rules and policies and encourage their child to speak his /her opinion and participate in family discussions. The child has certain demands and orders to meet, like house chores. The demands will be suited the child's age and stage of development. Baumrind cautiously suggests that the child may be 'mildly' punished either physically or by temporarily taking away privileges. Baumrind is not supportive of harsh beatings, "love withdrawal" or "guilt" induction. The parent might afterwards explain why the punishment happened. 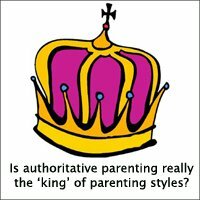 What Exactly is 'High Control' in Authoritative Parenting? 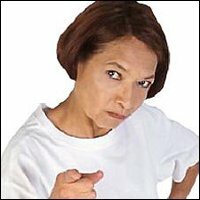 According to Diana Baumrind it's very important for a parent to be what she calls an "authority". And an authority is characterized by setting high demands via high control. Despite various criticism of Diana Baumrind's strong emphasis on high control in parenting throughout the years, Diana Baumrind still claims that firm behavioral control is necessary in order to paving the way for healthy child development. But what exactly does Diana Baumrind mean by her beloved idea of control? Rational control (authoritative): Creating clear, understandable guidelines for social behavior and reasonable. 'Mild' punishments can be used in case of disobedience. 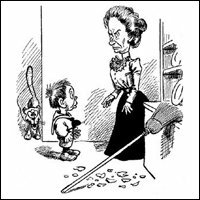 Inhibiting control (authoritarian): No space for the child to assert his / her will and no regard for individual needs and interests. "WARMTH" ... Is What Differentiates High Authoritarian Control from High Authoritative Control! These two definitions of control: rational vs. inhibiting (that Diana Baumrind borrowed from Pikas, 1961), she uses to distinguish between authoritative control and authoritarian control. The parents' general emotional attitude towards their children. In her work Baumrind carefully suggests that high control and "mild punishment" ought not to have any detrimental effects as long as it is done by a warm and loving caregiver. Whereas the high control and punishment in the authoritarian parenting style (repressive, cold and insensitive) is much more problematic, she claims. Another way to look at parental control is suggested by Steinberg 1989. Behavioral control: This is what Diana Baumrind calls "demandingness": Something she view as a good thing. Behavior control refers to supervision and restriction of the children in terms of making and upholding rules and various external standards. Psychological control This is what Diana Baumrind calls "restrictiveness". Psychological control is perceived as intrusive and domineering restricting the child's healthy psychological development towards healthy independency. 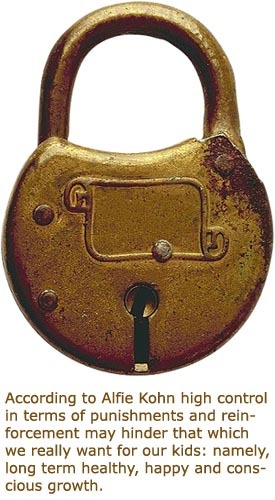 Means of psychological control are e.g. love withdrawal, guilt and shame induction. 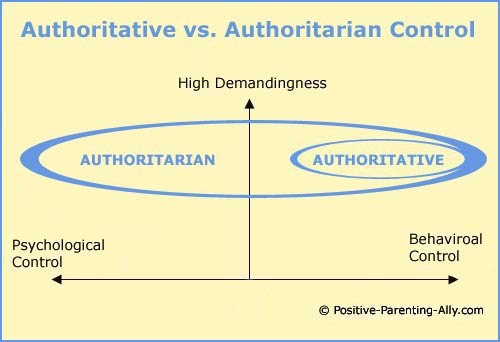 The model below illustrates how both authoritative and authoritarian parenting are both high on control (demandingness) but also how authoritative is thought to be only high on behavioral control whereas authoritarian parenting is thought to be high on both behavioral and psychological control. Not All Academics Agree with Diana Baumrind! 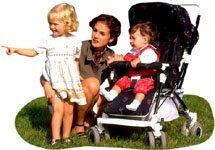 Among child parenting experts there seems to be a general agreement that authoritative parenting is the ideal form of parenting, at least in the Western world. Catherine C. Lewis' view: It's not the high demandingness that makes authoritative parenting work but the high responsiveness, in terms of respect, warmth etc. Lewis thinks that high control undermines the child's ability to internalize good values. This means that if the child is subjected to high contronl, the locus of the child's actions come from outside (rules etc.) rather than stemming from inner motivation. Wendy S. Grolnick's and Stephen Greenspan's view: They think that high control is too inflexible to account for the 'context': Different situations require a different set of tools to fulfil the different types of needs. Not all conflicts can be resolved with firm control. Sometimes parents need to step back rather than forward. This was a very, very brief presentation of academics criticising Diana Baumrinds authoritative parenting style. 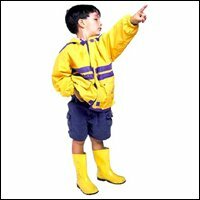 If you desire more information on this, you might want to read this article on the authoritative parenting style. Is all this High Control Really Necessary? 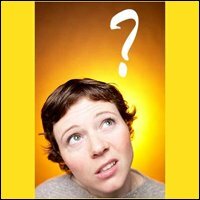 - Harmonious Parents Don't Seem to Need It! One of the most interesting things in social studies is when things don't seem to fit: When data doesn't seem to fit the scientist's model. Berstein et al. (2000) interestingly points out that in Baumrind's study there were a small group of parents, so called harmonious or democratic parents, who apparently had raised 'well-adjusted' and happy children without using the means of high control. Now according to the Baumrind's logic, this shouldn't be possible. According to Stephen Greenspan, Diana Baumrind explained the harmonious parenting 'anomaly' on the rather vague grounds that these children must have been raised authoritatively when they were smaller. In my view these harmonious parents might just be practicing what might be termed unconditional parenting (unconditional parenting is a parenting style coined by Alfie Kohn). Alfie Kohn is radical in the sense that he thinks that control practiced in whatever shape or form possible is detrimental for children in the long run. His thoughts are extremely provocative for many parents, but therefore also extremely interesting. In Kohn's view high control such as requiring instant obedience, using punishments as well as reinforcements actually is a hindrance to the long-term goal that parents desire, namely allowing their kids to grow into happy, independent, conscious and caring adults. In a powerful quote, Alfi Kohn says that traditional child discipline teaches our children to "jump through hoops for us to love them". Thought provoking, isn't it! And most likely true, too! So as you can hear, I tend to agree with Alfie Kohn, and therefore am sceptical of Diana Baumrind's strong emphasis on the firm control. - The Lower the Level of Consciousness, the Higher the Level of Control! The lower my awareness level is (because I'm stressed, tired or because fear for some reason is dominating my thought pattern) the more external control I feel tempted to use because for some reason or other the 'power from within' is temporarily inaccessible. The other way around, the higher my awareness level is (because I'm deeply present, am bonding, tuning in, not mentally blocked or rigid because of fear etc.) the less I need to use control means to handle my child. This means that to me, the level of control used is dependent on both the parents' general level of awareness (high or low) and the state of consciousness of the particular moment (dependent on immediate context, mood etc.). If you're interested in knowing more about what I mean by high level of consciousness, you might like to read this article on good parenting skills or this one on what makes a good parent. If you want to explore Diana Baumrinds 3 parenting styles further, please dive in to the links below. 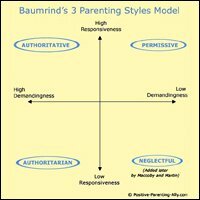 Diana Baumrind's 3 Styles of Parenting: Get a Full Understanding of Baumrind's 3 Archetypical Parents. The Four Basic Styles of Parenting Taken a Step Further: Reviewing Diana Baumrind's Model with the Tool of High Awareness. and Its Effect on Their Kids. 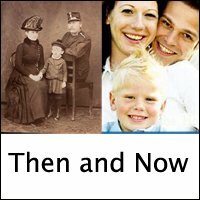 A Psychological Profile on Authoritarian Parents! Understanding the Authoritarian Personality from Within! The Essence of the Authoritarian Parenting Style and the Long Term Effects of Strict Parenting! 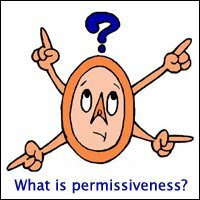 Permissive Parenting Historically and Psychologically: The Rise of 'Permissive' Parenting and the 3 Fear Based Indulgent Parenting Strategies! The Permissive Parenting Style Seen in an Existential Light. The Beingness of Permissive Parenting vs. the Beingness of Positive, Unconditional Parenting! Understanding the nature of the permissive parenting style: Going beyond Diana Baumrind's idea of low demandingness and get deep insights into the psychology of permissive parents. 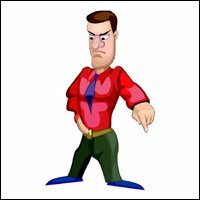 A Psychological Profile on 3 Types of Permissive Parents: Understand Their Indulgent Behavior by Understanding Their Ego Fears! Academic Criticism of the Authoritative Parenting Style: Questioning Diana Baumrind's Celebration of High Control!